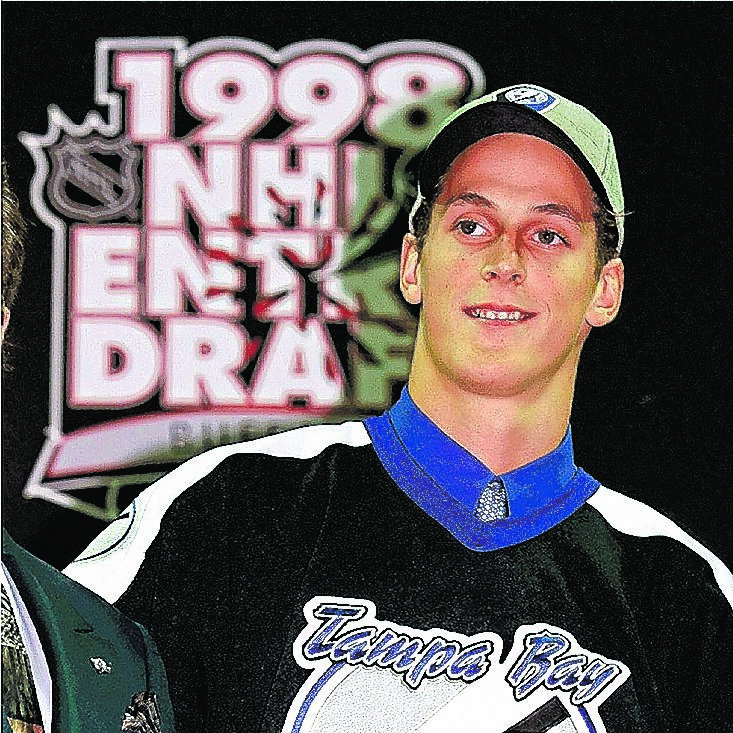 It was 20 years ago when he arrived in Tampa Bay, the next big thing, 18 years old but looking younger, tall and skinny, the top pick in the NHL draft. You could see his Adam's apple at his introductory news conference. 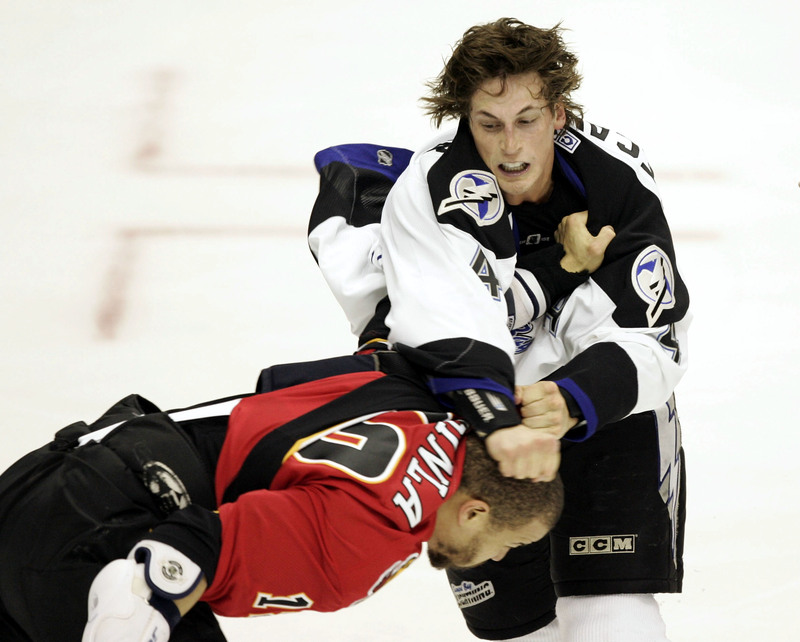 Vinny Lecavalier and Lightning history go together. When the Lightning was feeling its way, trying to become a hockey power, Vinny was feeling his way, too. When the Lightning was at its best, Vinny was at his best. Saturday, the Lightning will retire his No. 4 jersey. Saturday will be for Vinny, our classy neighbor, about the man he became. Vinny, who a nutcase Lightning owner once branded as the "Michael Jordan of hockey." Vinny, the man who held the Stanley Cup over his head. Vinny, who has never been anything but kind and comfortable in his skin. Vinny, on his knees, playing board games with the children in the pediatric cancer unit he helped fund, the one with his name on it. Vinny, who came back to Tampa Bay after his playing days, no hard feelings, to happily be a husband, father and, well, just the kind of guy any community would want. Vinny. The first name has always been enough. I'm not saying Vinny Lecavalier is the greatest player in Lightning history. But there has never been more of a Lightning player in Lightning history. Even after the Lightning bought out Lecavalier's contract and he put on different sweaters in Philadelphia and Los Angeles, Vinny was a Lightning guy, a Tampa Bay guy. More than Marty St. Louis, whose jersey was retired last season. More than Brad Richards, who jersey should be retired next season. "He's the face of hockey in Tampa," Richards said. Former Lightning GM Jay Feaster joined the Lightning in 1998, the same year Lecavalier was drafted first overall by Tampa Bay. Feaster is now the Lightning's vice president for community hockey development. When Lecavalier returned to Tampa Bay after his retirement, "he told me, 'I would love to help, but I have to be back by 3:30 because I have to be in the car line,' " Feaster said. "That was the line for me. I remember when he was 18, just a kid. Now he's in the car line." Tampa Bay watched Vinny grow up and help grow this hockey town. He had so much talent, he made it look so easy, that sometimes we thought he should have been even better. It was a like a curse sometimes. "Let me tell you something," said John Tortorella, who as Lightning coach went back and forth with Vinny, a push-pull that defined both men at times. "This kid had so much put on him, and look at his career. Vinny did pretty damn good. He was pulled all over the place, and he handled himself so graciously." Richards and Lecavalier go back 24 years. They were high school hockey teammates. "We met when we were 14," Richard said. "I don't think the core of Vinny has changed much. To me, he's been one of the most loyal people I've ever met. His word means a lot to him. He's got a good heart. Good core values from his parents. That has never changed." Vinny was drafted before Richards by the Lightning in 1998. He stayed 14 years. It was the first time the Lightning grabbed onto a player and the player grabbed onto the Lightning. He was the first stable superstar the Lightning had. He was so good. Two strides and he was the fastest guy out there. Other guys would be watching tape all the time, or games. Vinny was the one leafing through catalogs, looking at Italian shoes or sports cars. Vinny had a regal bearing almost. When the Lightning rose to the top of the hockey world in 2004, it was with Vinny, scoring between his legs to force playoff overtime at Montreal, with Vinny slugging it out with Jarome Iginla in Game 3 of the Stanley Cup final, when Calgary seemed ready to run the Lightning out of the building. But Vinny stepped up, and in at that moment, so did the Lightning. Lecavalier was grand marshal last month of Tampa's Gasparilla invasion. Richards said he saw the photos, Vinny dressed as a pirate. Or there's Vinny coaching a youth hockey team in Brandon, a team that includes his 6-year-old son, Gabriel, and several children of Lightning players and coaches, as well as a lot of other children whose parents love Coach Vinny. "I have a couple of Vinny jerseys in the closet," said Randy Rau, whose son, Cameron, plays for Vinny. "But now that I've gotten to know him, it's just how normal he is. He's as humble as they come." Vinny, the son of a firefighter, raised by Yvon and Christiane just the right way. Vinny, going down a line of sports writers after a game just before Christmas to wish them all happy holidays. "He was billed and touted as the savior," Feaster said. "This guy was going to turn around this team and this hockey community. From the start, there were those outsized expectations. I just think he handle it all so well. He was a guy, in an 18-year career, never a hint of scandal. Even when he held out, he wasn't in the press, he was never complaining, he never took any frustrations public. Early on he aligned himself in the community. From the start, he was the role model." "I watched the guy as a youngster, and I saw him grow into such a … good person," said Tortorella, who won't be at Saturday's ceremony because his team, the Columbus Bluejackets, is playing the same night. "But if I was speaking (Saturday), I would want people to know it's an absolute honor to spend the years I did with Vinny, to watch him grow, to go through the process with him, but to see what a person he is. I'm honored to be his friend. And I'd tell Tampa Bay it should be honored to have him be part of the community." The other night in Brandon, at the end of practice, the kids were circling their giant coach, squealing, laughing, throwing equipment at him. The coach just smiled. To the man he became. And the kid who'll never leave us. Vinny Lecavalier's No. 4 will be retired before the Lightning's game against the Kings on Saturday at Amalie Arena. The ceremony begins at 6 p.m., an hour before the game. Doors open at 5.